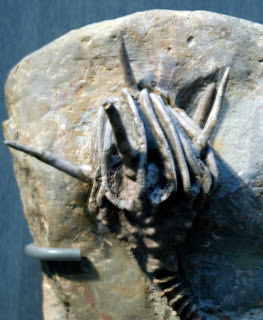 Dorycrinus gouldi crinoid calyx and stem on display at the Indiana State Museum (Indianapolis - May 2012). 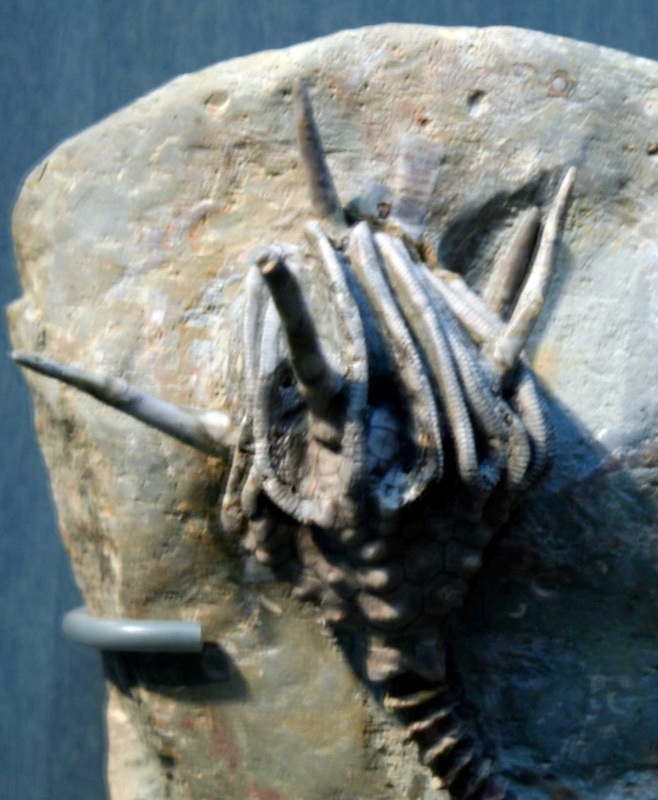 This fossil is part of a larger and quite impressive Mississippian period crinoid display on the first floor of the museum. 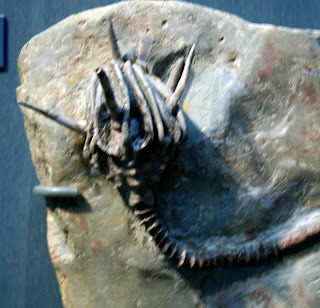 If Indiana had a state fossil, it would probably be a crinoid from Crawsfordsville, Indiana. Learn more about the museum at their web site.